What you’ve created is a totally unique and twisted fairy tale. 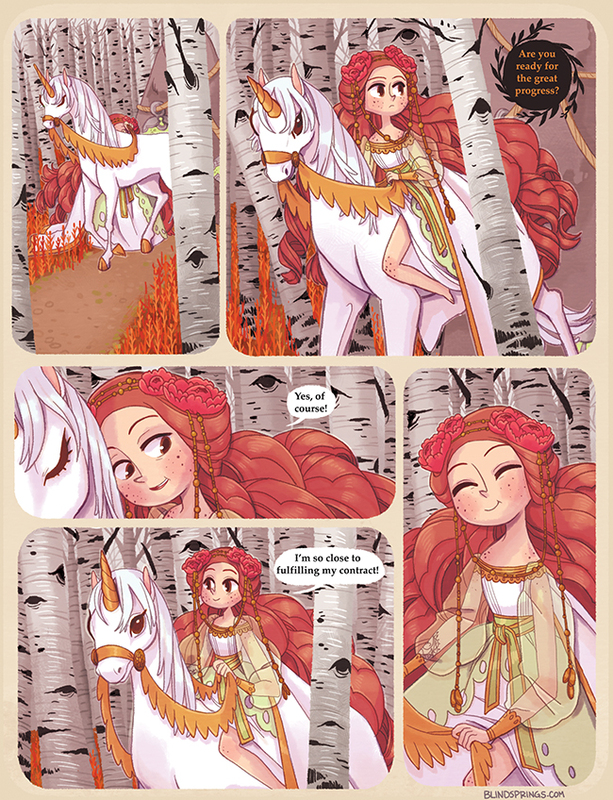 Every panel and page oozes magic and style. 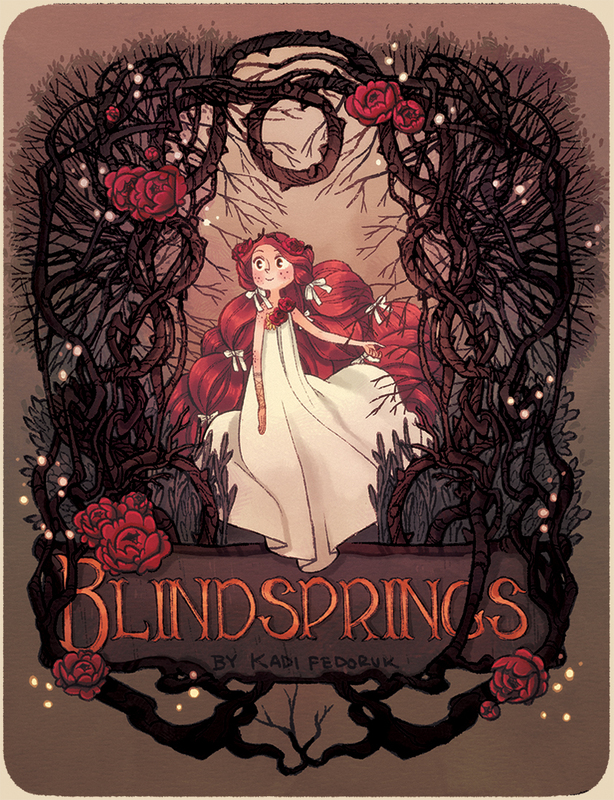 The story of Blindsprings just keeps getting more complex and mysterious as it moves forward. There is no telling what will happen next or what type of fantastical mishap is around the corner. I really enjoy the amount of detail and care you take in your drawings and the history surrounding your characters. It makes the comic feel more believable and rich. The spirits that surround the human have one of the best ghostly designs I’ve seen. I just love how they all have this white mask covering their face and their clothes/ forms are so ornate. LoVe It! All Images Copyright Kadi Fedoruk.